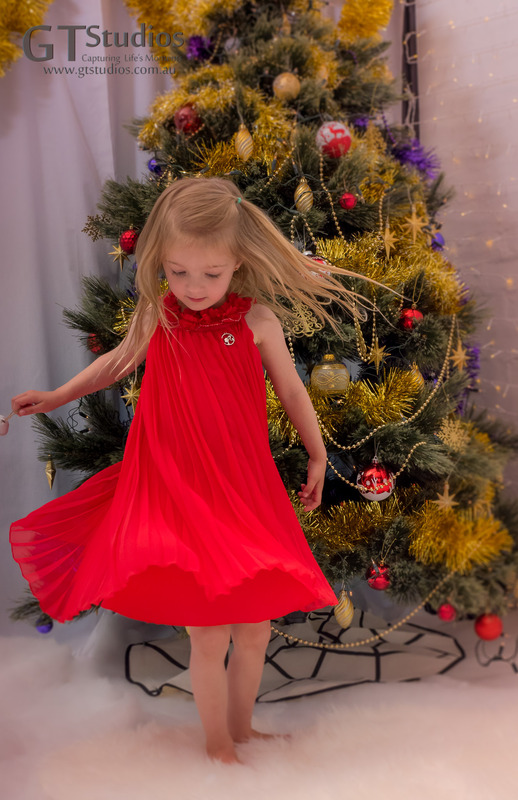 During a recent Winter Wonderland Christmas Photo Experience, our beautiful clients were in the dressing room changing their outfits and it was the perfect opportunity for our GT Studios Christmas Tree to make a quick costume change too! It started the day in purple and gold but with a magical twirl it matched the next outfits perfectly. Miss T just loved this outfit from Little Rainbow Boutique and so do I. The minute she put it on she wanted to hold her skirt out and strike a pose! Not a bad effort for a little girl. Big sister then put on a great show too! These images will make the most gorgeous personalised Christmas cards. 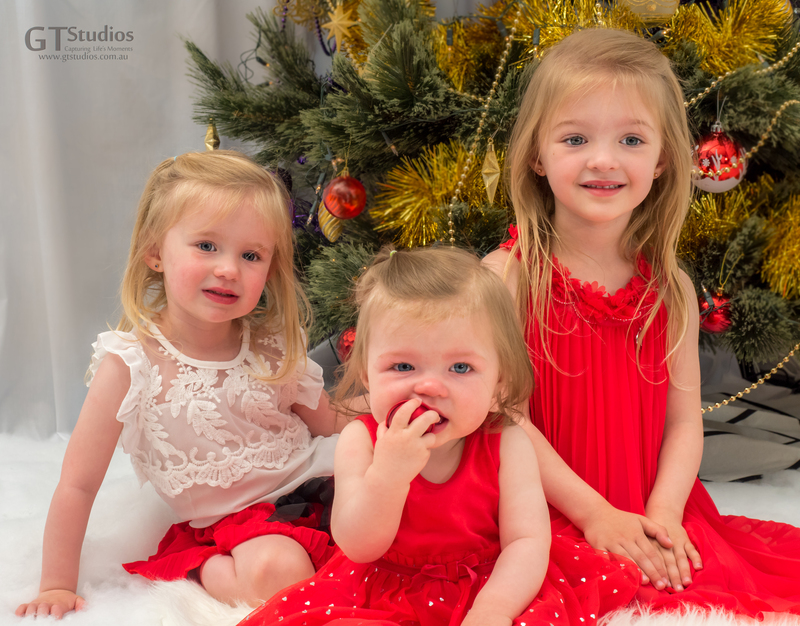 All our Winter Wonderland Christmas Photo Experiences are over for this year, but if you are thinking about some beautiful images for your family please contact us for a free consultation so that we can discuss your needs. Gift certificates are also available and would make a lovely gift for someone special this year. This entry was posted in Capturing Life's Moments, Christmas, Christmas Cards, Christmas Gift Ideas, Christmas Photo Experience, consultation, Family, Gift Certificate, Gifts, It's beginning to look a lot like Christmas, Uncategorized, Winter Wonderland and tagged Beautiful, beginning, Capture Life's Moments, Christmas, family, girl, girls, GT Studios, gtstudios.com.au, pose, sisters, spin, twirl, Winter Wonderland on December 4, 2016 by Karen. November Snapshot (1) with GT Studios Photography – What happened to October! “It’s beginning to look a lot like Christmas” – GT Studios on My first Christmas Card for the Season!